Get creative with the kids room or nursery bedding options. The right mix of bedding can make your kid’s room explode into life. Drab walls and bare rooms will fade into the background once the crib or toddler bed is outfitted with that funky design you fashioned. Are you at a loss on the theme or color scheme for the room or nursery? Walk into the nearest store and look for the bedding that catches your eye. Once you have the bedding in hand, spin your room’s theme or color scheme to match it. Such is the power of kids and nursery bedding! With such a wide and interesting collection of kids beddings in stores today, here are some guidelines to help you find the perfect fit for your child and his style (and let us not forget the all-important maintenance issues). 1. What all is included under ‘bedding’? more expensive ones may also include window curtains and table rounds (for the night stand). Assess your particular situation. Do you have kids sharing a room? You might have to accommodate both their tastes and styles. Does your kid suffer from any allergies? You might need to invest in mattress pads. Perhaps some eco-friendly and chemical free kids and nursery bedding is the answer. Do you live in a warm or cold climate? It could mean the difference between opting for a duvet, quilt or heavy comforter (or a mix of two). Since it’s his room, what he says matters. 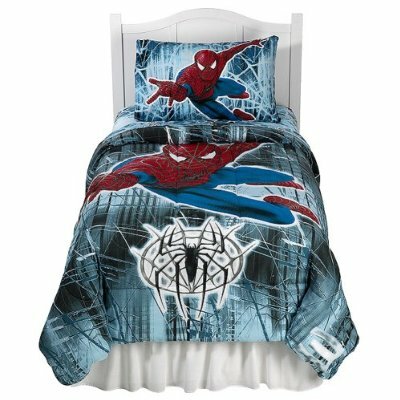 Even a toddler knows what bedding he wants. Does he have a favorite cartoon character? What about favorite colors? Your best option maybe a combination of both, prints and solids. If you use the theme all over the room, it could feel crowded and add to the clutter. Moreover, it would be a huge revamp once your kid has outgrown that character and is in love with another. Your teenager is way past cartoon characters. But he will have some focused interests. Sports? Music? An idol? These can be incorporated into his teen room’s theme. If his tastes are too diverse to decide on one idea, choose neutral themes such as geometric designs or stripes to give his room a sophisticated grown up look. Keep the colors fun to detract from the sober adult feel. 5. Girls Bedding and Boys Bedding. Yes, it’s true. Most girls prefer the girly themes of flowers, butterflies or fairies. They also have girly color preferences of pinks, lilacs or oranges. Most boys enjoy action themes of sports, pirates or transportation. Their color favorites are bolder blues, reds, or greens. 6. Want to go for gender-neutral beddings? If you don’t yet know whether your baby is a girl or boy, you can opt for gender-neutral nursery bedding. This is a great idea for older kids too if they are sharing rooms or do not want to conform to the girl or boy themed beddings. 7. Still not sure of your choice. Have you looked at umpteen bedding options and are still unable to decide? Ask the store if they can provide fabric swatch. This is a fun way to combine 2 different themes into one and give your child a change whenever he gets bored with one. You will have to ensure that either they have similar color schemes (so the same room accessories will match the new look) or the room accessories have a dual look to match both themes. You might come across stores selling discount kids and nursery bedding. It is a good idea to stock up on extra sheets for those middle-of-the-night clean ups. Just make sure the sheets are of good quality and will not be rough against your baby’s soft skin. 10. Read Product Descriptions Carefully. need to be extra careful if your crib is not of the standard size or shape (check our page on Baby Cribs - under Kids Furniture - for details). The crib or bed takes up the main space in the room. 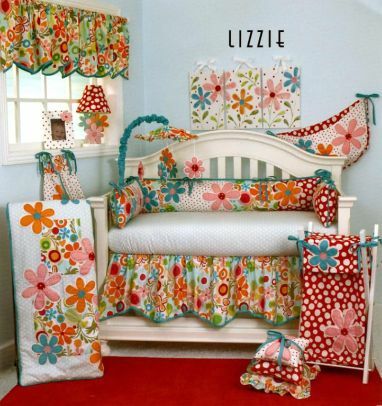 It naturally follows that the Kids or nursery bedding covering it will make the difference between a room that sparkles and one that fades or worse, creates chaos. Find your inspiration here! Buying guides – We have compiled guides to help you better understand each product. These information guides provide a base for your decision. We have also sneaked in some interesting tips and ideas.